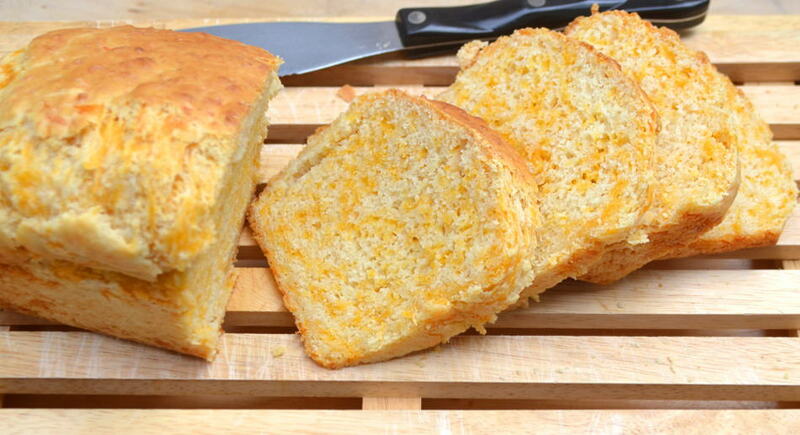 This bread looks perfect to go along with a fall soup or pot of chili! That’s what I’m about…..all that cheese….lol! The pizza bread – that was my husbands idea. He said as a kid he used to eat a pizza bread that was very similar in taste and texture, but with swirls of sauce in it. Can’t wait to get to baking an extra garlicky pizza bread. Amanda, this bread looks so yummy! My mouth is watering just looking at your appetizing photos! 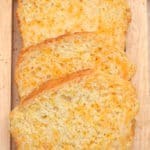 You can’t go wrong with cheesy bread of any kind, and one that is as easy as this to make is perfect. Thanks for the recipe! I have made this once, and it’s delicious! I tend to like things with more seasoning, so I made it with extra garlic, some onion powder and pepper. Just making it now with a swirl of cheese and fig jam in the middle, mostly because I can. I love it because it’s very fast to make, tastes excellent, and lends itself very well to additions if you have the time, ingredients and inclination. Thank you! So glad you enjoy the recipe! It’s such a simple recipe that you can go a million ways with it. Fig jam & cheese in the middle – yes, please!!! Was looking up quick bread recipes for a Farmers market stand down here in Amarillo Texas. (Tortilla Ciuntry). This looks great. Considering adding bacon and Jalepeno. I got the giggle…after reading that your in Lancaster PA. Me too. My home town of 45 years. Graduated from Hempfield. I wanted to try and bring some missed PA Dutch goodness down to Texas. Pizza bread…. Browns orchards in York PA makes one. Its oretty good, but I bet you can out beat theirs. Thanks for sharing. Texas sounds awesome though. Never been there – but it’s definitely on my list to visit. I’d be a tortilla monster out there! Love fresh & homemade tortillas – not something you’ll find in these parts unless you make it yourself. Bacon and jalapeno would be awesome in this bread. 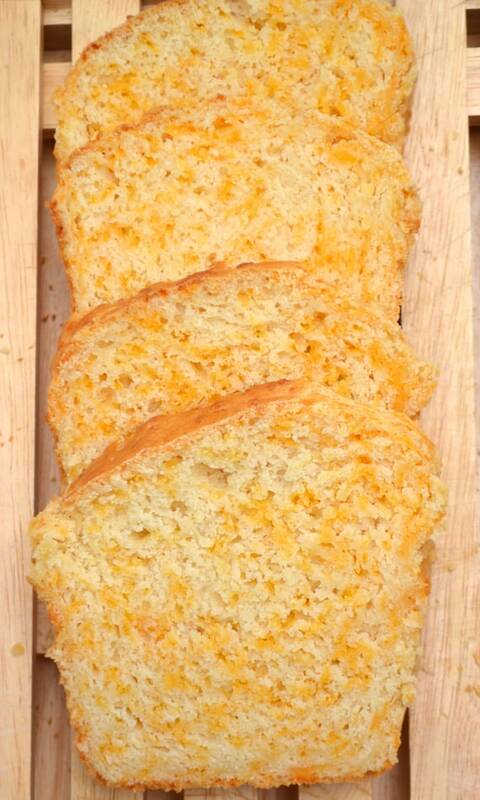 Love this bread – you can add just about anything to it. I do make a Pizza Bread! Never heard of Browns Orchards – I will be googling it immediately. I rarely visit York – but do pass thru it often on my way to Gettysburg or Baltimore. Just made this with 1/2 Sharp cheddar and 1/2 cheddar Jack (all I had). This bread is delicious!! Thanks for stopping by Bobbi! Delicious and so easy! I used buttermilk instead of milk and it worked great! Will make this again. Hi Cheryl! Quick breads are pretty foolproof – as long as you don’t overmix it. I’m guessing your baking powder was bad. If it was dense & flat it seems the leavener agent was inactive. You just solved my problem! I came to this recipe because another failed me yesterday despite following to a T. But my baking powder needed to be scraped out with a knife. (Even though it was dry and powdery once loosened.) I’ll make yours tonight and report back – after I buy a new can of baking powder! I just made this bread and I must say I am quite pleased with it. I was fearful that it wouldn’t rise like the one pictured because of a previous comment, so I added a little baking powder. I used self-rising flour by the way. I also added dried dill and sun dried tomatoes as well as onion powder. It came out fantastic! The possibilities are endless for this bread. Thank you so much for sjaring!! Made it two days in a row! Yay! So glad you enjoy the bread! I made this to go with Pulled Pork bbq. I had no bread in the house and this sounded perfect! It was extremely easy to make and used ingredients I already had on hand. I’m bookmarking it now! As for the taste, my husband, 1yr old son and I all liked it! My husband said it tastes like Mac & cheese. Just baked thid bread! Looks wonderful. Plan on serving it with a boiled dinner tonight. Yay so easy. Thanks so much for sharing this recipe. Hi Dawn! Hope you enjoyed it – we love it! Hi Alisa! Glad you enjoyed the bread! Amanda, I am making this bread right now as I email to go along with our bean and bacon soup supper tonight. I can’t wait to try this and I will definitely let you know how it was. Sure smells great baking. I am really glad I found you her on line and have saved your website to my favorites so that I can make other things. Everything looks so scrumptious! Will be emailing again soon. Ps. not rated yet but I know it’s gonna be a 5 star. Amanda this is definitely a 5 out of 5 for sure. The bread was so tasty. We both really loved it and will for sure be making it on a regular basis and different variations of it as well. So glad you love the bread Sharon! It’s cold & snowy here today, &my husband forgot bread when he went for groceries. 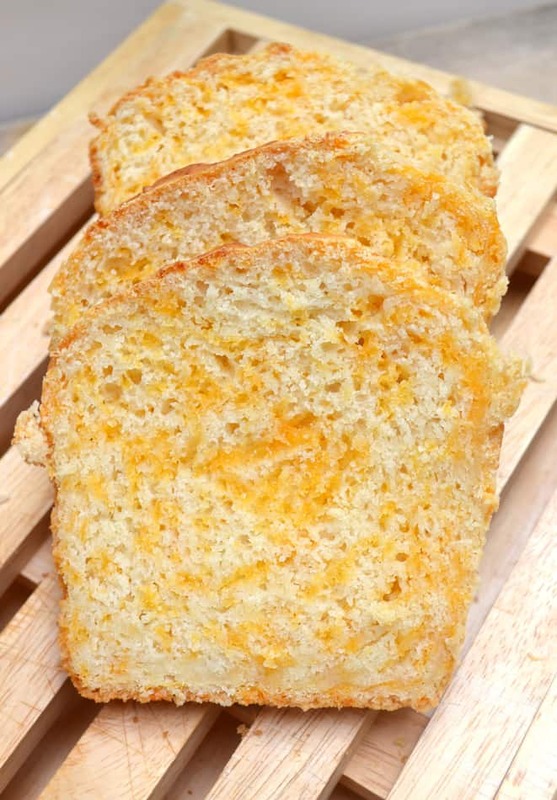 I’m out of yeast, so looked up quick breads, & found this recipe. It just came out of the oven, & I couldn’t help myself! It was so easy & quick, & it’s so delicious!I will definitely be making this again! Thank you for a great recipe. Yay! So glad you & your husband enjoy the bread! Omg this bread was an absolute hit with the kids.. just perfect.. wish I could upload my pics. 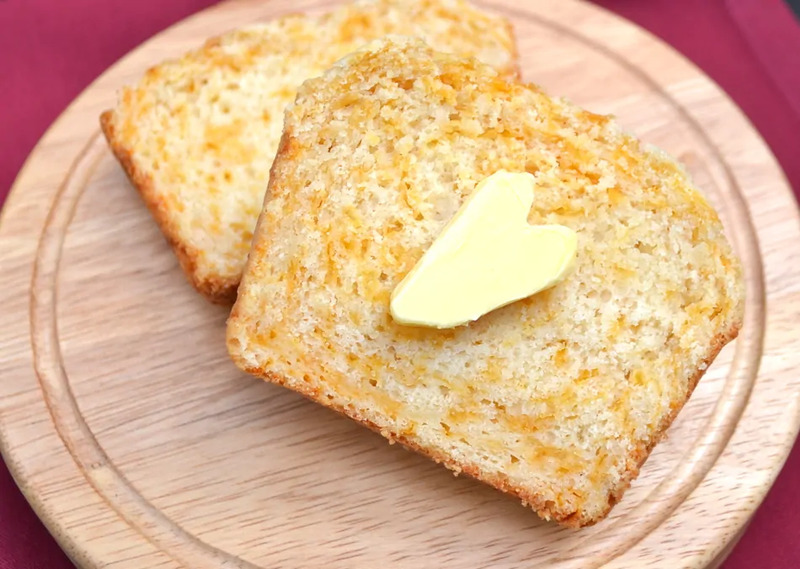 Recommend this bread loaf recipe to all. Cannot go wrong!!! Yay! so glad you all enjoyed the bread! Ooh, can’t wait to try it toasted! Mmmmm. Thanks for posting this. It sounds like just what I was looking for. Making it tonight! 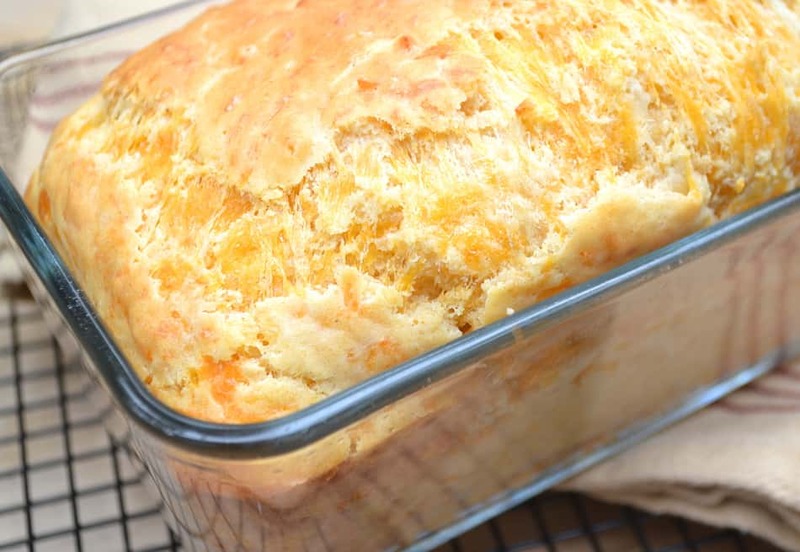 My search for a quick bread for dinner brought me to your site and I’m glad it did! I added herbs as suggested and it was delicious! Will definitely be on my list of recurring items to bake. Thinking it would also work as a dessert with the addition of sweet ingredients to it. We’re in the middle of a major winter storm. I had some leftover shredded cheddar cheese, so I just made this so I can take a hot slice with a cup of chili out to the guy who is plowing my neighborhood. Oh my goodness!!! Is this ever wonderful!!!?!?!?! My husband and I tried a slice. And another, and yet another. I’m not sure the plow guy is getting any…this may be turning into our whole dinner! I added some dried basil, but otherwise did exactly as instructed. I used a large loaf pan, so only baked it 40 minutes, and it is perfect! Would be a prettier shape in the smaller loaf pan, but this is so scrumptious I know I’ll make it again, so I can use the correct size pan then. Love this!!! I added some chopped jalapeno and it it turned out great. Thank you for sharing!!! I just made this bread with asiago cheese instead of cheddar. Added a little extra garlic powder and 2 teaspoons of Italian herbs. Also didn’t have fresh whole milk so used sour milk. It came out absolutely delicious. I made it to go with a pasta dinner … if there’s any left by then! My baking powder expired a couple years ago but I used it anyway, so I didn’t get the loft yours did. However it smells fantastic while baking. I just ate a slice and it’s good. I also added sprinkled ancho powder o top and used a blend of cheddar and monteray. Since its feeling sort of latin I also added 1 teasp of Mexican oregano. This i made 3 mini loves instead 1 big one so I baked only 30 min. I have made this bread twice already and it is f*@%ing delicious, I can’t wait to try with all different ingredients. Only problem is, I can’t get it to look like yours, and I bake often, about 4x a week. All my ingredients are fresh, I used butter the first time to grease pan, second time sprayed with Pam and used glassware to bake it in as well. Not sure what it might be, any suggestions? I would love to make this bread. I wonder if this would work with whole wheat flour or a combination of whole wheat and oat flour? A family member cannot consume all purpose flour. Thanks. I have made this bread so many times and LOVE IT! Maybe I missed it, but what size loaf pan? Changes I made: *omitted the garlic powder and added a heaping teaspoon of fresh, minced garlic to the butter when I melted in the microwave. *Also used half a cup of shredded Parmesan for part of the other shredded cheese. THANK YOU for helping complete of tasty feast! Made this today. I substituted 1 cup of flour with wheat flour and the butter with a basil infused olive oil and it tastes like the biscuits from Red Lobster. Thanks! Delicious, quick and easy. What do you think about using fresh garlic instead of powder? Hi I just found your recipe it looks great! 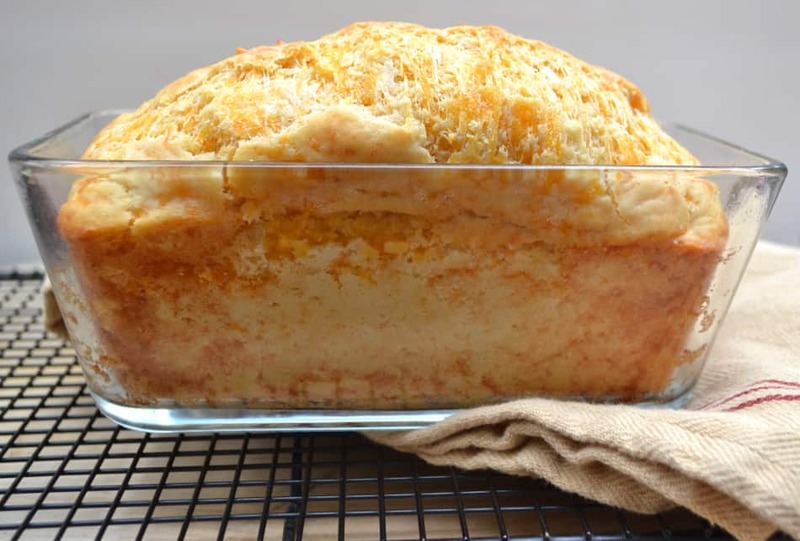 I want to bake a savoury quick bread and not just sweet ones, your recipe looks great and delicious I’m going bake it today! This bread is really good! I made it with a little whole wheat flour in it (about a quarter), and it turned out well. I baked it for guests on Sunday, and now later in the week I’m needing a bread to go along with a meal I’m taking to a new mom, so I am making it again. It’s the perfect comfort food! This is a great recipe. I didn’t have cheddar, so I used Grana Padano Cheese, and it turned out great! The bread was a little more dense, like a biscuit texture. The flavour was amazing! I will make this again, it went well with our Chili dinner, and I suspect it will be awesome with a pasta dinner too! Really odd garlic taste & I love garlic. Made exactly as directed the lofe looked great & the texture was spot-on but…it may call for to much garlic powder. Next time will only use 1/2 teaspoon, not the 1 1/2 teaspoon it calls for.